In November, ASPA members will have an opportunity to vote for the next leaders of the society. Below is a list of the candidates and their statements. Online voting will open Nov. 1. Ballots will be delivered electronically to those with emails on file with ASPA. For those for whom ASPA does not have an email address on file, paper ballots will be mailed. To confirm your address with ASPA, please contact the Membership Department at 202-585-4310 or log in to your profile on the ASPA website. 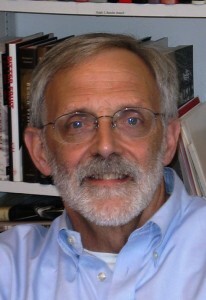 Paul Danczyk, Ph.D., is the director of executive education in Sacramento, Calif., at the Sol Price School of Public Policy, University of Southern California (USC). His professional contributions concentrate on national, state, local and nonprofit leadership and management. 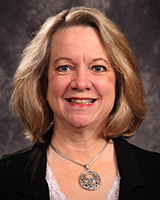 Dr. Danczyk designs, delivers and evaluates public-sector executive training programs, teaches Masters-level classes and is an executive coach. Recent partners include the National Conference of State Legislatures, the County of Los Angeles, LA Metro, the California Institute for Behavioral Health Solutions and the Asian Pacific State Employees Association. He is an active ASPA member, serving in multiple leadership roles at the national, regional and local levels. A returned Peace Corps Volunteer, Dr. Danczyk earned a Ph.D. from the University of Pittsburgh, his MPA from USC and his BS from Pennsylvania State University. He and his wife, Andrea, are raising two future public administrators, Max and August. Danczyk enjoys landscaping, creating sculptures, painting and bee keeping. My ASPA journey began, perhaps like yours, at the urging of a professor. 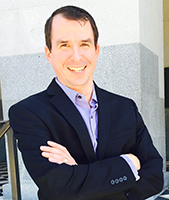 I first became active at the local level and then took on increased responsibilities—serving as president of the Sacramento Chapter and most recently representing the eight-state District 5 on ASPA’s National Council. For the last 10 years I have been in leadership roles and understand the current complexities and opportunities facing our society. At each stage along the way, my leadership became more defined through presidential appointments in chairing the National ASPA Strategic Goal 3: Membership Experience and serving in formal capacities such as being the vice chair of the finance committee. I have benefited from professional insights and support of many exemplars in both the practitioner and academic communities. Now I seek your support as the next vice president. My vision for ASPA is simple: expand our focus on public service, increase participation and foster growth. To expand our focus, we will continue the good work of past presidents in building collaborative partnerships while creating new professional development opportunities regionally and at the Annual Conference. We will also look forward to creating innovative approaches to complex issues that confront public agencies operating in an increasingly intergovernmental, interdisciplinary framework. Second, participation needs to be increased: within the National Council as our practices realign with the spirit of our by-laws, between the national office and local chapters and sections and among the broader membership. Finally, in order to thrive, our membership must grow. We have to be deliberate about our approach, promote professional expertise and foster visibility across local chapters and sections. One of my favorite quotes is to ‘be the change that you wish to see in the world.’ With your help, I believe we can be that change in creating the next chapter of ASPA’s professional contributions to our field. Three words summarize my life so far: leadership, accomplishment and experience. These are dimensions of the big-tent field that ASPA represents. With a BA from Stanford and a Masters and Ph.D. from Johns Hopkins, I have been a faculty member at Georgetown and tenured at USC, where I served as Dean of the School of Public Administration and where I am returning. I know government at all levels: as a White House Fellow; a member of two State of California commissions; president of public-private partnerships established by Mayor Tom Bradley; and president and director of the Natural History Museum of Los Angeles County. I have served two terms as president of ASPA–LA; chair and member of the NAPA Board of Trustees; and as president of two Los Angeles-based foundations. I received the ASPA Nesta Gallas Award; the National Public Service Award; two Honorary Doctorates; and recognition as Woman of the Year by Los Angeles Magazine. Government is facing unparalleled challenges in a time of public cynicism and distrust. At the same time, across America, public service is being redefined through experimentation and innovation. ASPA can and should address this disconnect. It is time for ASPA to be the bridge between the field and Washington, D.C.
No organization is better positioned to be that bridge but it will take listening, learning, aggregating and communicating on ASPA’s part. After decades of leadership, experimentation and innovation in the public and nonprofit sectors, I’d like the opportunity to lead ASPA’s efforts to address the disconnect between public sentiment and innovative government and governance. I have done similar things before where listening, strategy and communication have led to transformation. The time for ASPA is now. A new administration will arrive in Washington, D.C., in 2017. ASPA should be at the table discussing how to make government more responsive, more impactful and more respected. ASPA has something unique and important to contribute. Because it is both a local and a national organization, ASPA is on the ground, in the field and able to identify innovations that are working and could be replicated at every level of government. ASPA’s membership comprises all the organizations needed to catalyze change: government, academic, private and nonprofit. If elected vice president of ASPA, I will work with local chapters, ASPA members, PAR and PA Times and our partner, NAPA, in a Memos to Leaders project to identify these innovations and persuade the new administration to adopt them. There is no on the job training. It’s time that voices for innovations in government speak up. It’s time for me to take what I’ve learned about transformational leadership and put it to work to make ASPA an effective voice. Most importantly, it is time to show, in this period of scarce resources, that by working together we can seize this moment to improve governance and government in America. Currently a lecturer of public administration at John Jay College of Criminal Justice, City University of New York (CUNY), Stephen Rolandi’s career spans government, higher education and the independent sectors. Mr. Rolandi served as deputy commissioner for the NYS Division of Human Rights, the oldest civil rights agency in America, where he managed human resources, finance, IT, student internships and facilities. Mr. Rolandi also served in managerial and executive capacities with the City of New York, as well as in positions with Baruch College (CUNY), AFS Intercultural Programs and the New York Historical Society. He holds BA and MPA degrees from New York University. 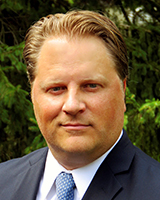 He has served in many leadership roles in ASPA and related organizations including president of the New York Metropolitan chapter; National Council representative; a trustee for NeCOPA (since 2011); and chair, chapter and professional development, national and regional conference committees. He is also a recipient of the Donald C. Stone Service to ASPA Award and many ASPA leadership citations. I want to extend my sincere thanks to the many ASPA members who submitted recommendations and petitions to nominate me for Vice President. My career has been as a manager and executive in government and the nonprofit sector. Currently, I have taught and currently teach courses in public management and public policy. I have been instrumental in reviving chapters, creating new sections and initiating international endeavors, such as joint meetings with the Institute of Public Administration of Canada (IPAC). This is probably the most critical election in ASPA’s history. Our membership is at its lowest level since 1965. The next vice president will have to work collaboratively with all of ASPA’s constituencies to frame solutions to the many challenges we face. If I am elected vice president (and eventually president), the hallmark of my administration will be social equity, inclusion, excellence and performance. I will work diligently to move ASPA forward for all members and the next generation of public service leaders. 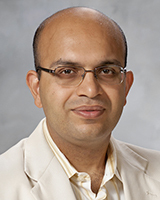 Born and raised in India, Nagesh Chopra came to the United States in 2006. He completed his Bachelors in Commerce from University of Delhi and is presently pursuing his MPA from University of Central Oklahoma in Edmond, Okla. He is happily married to his wife, Kanika, and blessed with a six-year-old daughter, Jiya. Being the only son of his parents and a devoted Hindu, he believes his upbringing and cultural roots define him as an individual in social and professional interactions. His hobbies include trekking and making collages. He has a keen interest in geographic information systems and is currently working on a project to scrutinize this new technology’s role in city governments of Oklahoma. He believes in the principle of “practice what you preach” and makes sure to go the extra mile to honor his commitments and keep morale high among his teammates. I have been an active student member of ASPA for the last year and a half. My zeal to work tirelessly and make things happen stems from my membership with University of Central Oklahoma’s Political Science Honor Society (Pi Alpha Alpha) and Public Administration Student Club (PRAXIS), which has made me more informed and gregarious. I was awarded ‘Citation of Congratulations’ by Oklahoma State Senator Kay Floyd in recognition of my service during the 2015 Legislative Internship Program with Keep Oklahoma’s Promises, a coalition of firefighters, teachers, corrections officers and citizens, committed to retirement security for all. Networking: connecting students with mentors to assist in their personality development. Inculcating Invincibility: A career in public administration is the ultimate dream for numerous students, however, life may not chart a paved road toward such goals. Therefore, it is extremely essential to shun the barriers of inferiority and have an informal discussion to rejuvenate and get back in the groove. Building a ‘Morale Helpline’ will assist the student members to never give up. Based on prior experience, I will make sure there are more opportunities to interact with elected officials, forge better connections to community leaders and have access to new innovative tools to build a political resume. 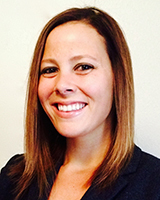 Megan DeMasters is a doctoral candidate in the Political Science department at Colorado State University. She graduated from Idaho State University in 2010 with a BA in International Studies and from the University of Utah in 2012 with an MPA, with an emphasis in natural resources management. 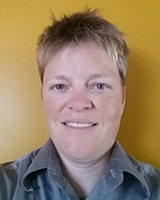 While at the University of Utah, Ms. DeMasters was the recycling program analyst for Wasatch Front Waste and Recycling District, aiding in the expansion of the recycling program. 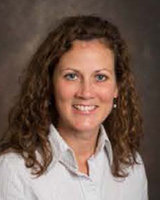 Her research interests include environmental policy, with an emphasis in water quality and water scarcity concerns at the local, state and federal level. Ms. DeMasters is an active member of ASPA, having received the Founders Fellowship Award in 2014 and winning the student paper competition for the Section on Environmental and Natural Resource Administration in 2015. I believe the American Society of Public Administration (ASPA) is a vital organization for students. Benefits of ASPA include opportunities to present research and receive feedback, as well as helping students develop relationships with other ASPA members that will last a lifetime. It is for these reasons that I am excited to have this opportunity to be considered for ASPA’s student representative position. As a doctoral student of public policy and administration, I have found my ASPA membership has facilitated in the advancement of my own interests and has helped me to develop relationships with others within the organization that are invaluable. If elected as student representative, I will use my experience to help connect students of policy and administration, as well as political science, to ASPA. As a student of both public administration and political science, I am able to relate to students in both fields and understand the need to network with both academics and practitioners. I will work to connect students to ASPA members who can help them develop a variety of skills necessary in pursuing their academic and career goals. Additionally, as a 2014 Founder’s Fellow, I will be able to speak from first-hand experience about the many benefits ASPA has to offer students, including workshops focusing on several skills such as how to research and the many networking opportunities the ASPA Annual Conference can provide. I strongly believe ASPA is an important organization that provides students with the opportunity to bridge theory and practice. I believe my background in public administration and the pursuit of a doctorate degree in political science provides me with unique insights that will help students like myself navigate the challenges of bridging practice and theory. It would be an honor and a privilege to serve students of both fields as the student representative on the National Council. Brenda Farlow is a native of the Chicago suburbs. She is currently three courses away from beginning her dissertation at Walden University. Ms. Farlow is a student in public policy and administration with an emphasis in leadership and governance. She is a career fire lieutenant and nationally registered paramedic. She recently retired as a 911 dispatcher at a consolidated 911 center that dispatches for 14 agencies. She is the coordinator of the emergency medical dispatchers program for a teaching hospital in Maywood, Ill. She has an MA in emergency and disaster management from American Military University, and a Bachelor’s degree from Southern Illinois University. Ms. Farlow is married with two step-children and a two-year-old granddaughter. Hello, my name is Brenda Farlow. I am currently a Ph.D. candidate at Walden University. I recently had a bad experience with local government while trying to obtain help for a disadvantaged family in my jurisdiction. I work for a fire protection district within a home rule small community in the suburbs of Chicago. As a result of my experience I am looking to write my dissertation on local government and the overlap and gaps between services provided. I am also intrigued by emergency and disaster management at a local level. Despite the enormous sums of money spent on preparedness, local governments in some areas still lack the ability to handle reoccurring emergencies such as flooding and storm-related service interruptions. I have served as an executive board member of the local chapter of International Association of Fire Fighters for eight years. I was also a director and then president of Fire Service Women of Illinois, a not-for-profit organization promoting networking and training for firefighters. Three years ago I was secretary of the American Military University chapter of the International Association of Emergency Managers. As your student representative, I hope to bring back information, trends and knowledge from which we all can learn. The process of public policy and its debate is extremely important to how policy is administered. This affects all of us, even down to the local level. A greater understanding would allow me to positively change ingrained and antiquated local government politics and culture. In return, this would also allow me to have a positive influence on policy affecting socioeconomically challenged people. I believe in efficiency and effectiveness of government. Please elect me so I can learn more about the processes that drive these changes. We can make a better future! Orkhan Ismayilov is a doctoral student studying public administration and management at the University of North Texas. He was born in Azerbaijan but has been in the United States since 2006. His undergraduate degrees are in political science and criminal justice, and his graduate degree is in public administration (MPA). Currently, he is teaching public administration and public finance courses to undergraduate students. 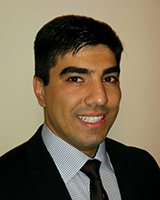 He is an active member in ASPA, serving as secretary in the North Texas chapter. In the past, he served as president and vice president of six student organizations at both undergraduate and graduate levels. He is currently serving as the North Texas Regional Director of the Borgen Project, a nonprofit organization fighting world hunger and poverty. According to last year’s membership count, ASPA has almost 8,000 members. While this number may seem big, there are surprisingly thousands of public administration students, scholars and professionals who are not members of the organization. As a result, they miss a wealth of knowledge that could help them excel. Although some argue they cannot afford membership, many simply do not know of ASPA and the benefits it is providing to members. As a member of ASPA, I present my research at conferences, where I interact with scholars and professionals who are potential future employers and research partners. As an instructor, I find many students – undergraduate and graduate – do not know about ASPA because they were never informed. As a researcher, I find many professionals do not join ASPA because they never joined the organization as students. As an international student, I understand the importance of building bridges with other countries in order to enhance the quality of administration and management internationally. Benefits of ASPA membership include e-newsletters, the PAR journal, training and professional development, chapter memberships, PA Times and other informative resources. I find it is crucial to introduce benefits and encourage ASPA membership among students at all levels. By taking advantage of ASPA membership, students will be able to extend their academic and professional careers. 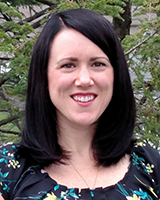 Angie Kline is a doctoral student at the University of Delaware’s (UD) graduate program in urban affairs and public policy. She was a public administration fellow at UD’s Institute for Public Administration and is currently a teaching assistant teaching “Performance Management and Program Evaluation.” Ms. Kline attended Villanova University, where she earned her MPA with a certificate in nonprofit management. Before her doctoral studies, she worked for several nonprofits doing resource development and evaluation. She is currently researching communities that adopt social indicator measurement plans. Ms. Kline is an active member of ASPA, serving on the PA Times editorial board and as the Parliamentarian on the National Council. She was awarded a Founder’s Fellowship in 2015 and participated in the 2015 ASPA Young Scholars Workshop in Mexico. Ms. Kline serves as a council member for the Delaware Association for Public Administration. Service to others has been the driving force in my professional career and personal life. I am excited about the potential opportunity to serve the ASPA community and give back to an organization that has introduced me to professional colleagues, academic collaborators and friends who share my passion for public service. If elected, I will bring my enthusiasm, networking abilities, organizational skills and creativity to the position of student representative of ASPA. I am pursuing this position because of the invaluable contribution ASPA has made to my professional development as a student and public administrator. Given the opportunity to serve as the student representative on ASPA’s National Council, I have two goals: (1) to communicate with you, the members, regarding professional development, mentorship and networking opportunities; and (2) to communicate with individuals outside ASPA about the great work public administrators are doing in order to elevate the role of public servants. I would appreciate your vote and thank you for your consideration. I am from Richmond, Va. I have had the pleasure of working in three industries during my career. As a college undergraduate, I studied airway science management and then spent four years working for a U.S.-based airline. I then spent the next 19 years working in the financial industry for a top-five bank, during which time I completed an MBA with marketing as the focus. In 2005, while still working for the financial institution, I accepted a position in their e-Commerce department, which is where, as a process and risk manager, I learned about digital accessibility. During this time, I also began pursuit of a Ph.D. in public policy and administration. As I grew close to achieving this goal, I made the decision in the past year to leave the financial industry and I now provide direct support to the Department of Defense as a 508 accessibility and compliance consultant. I have two children, ages 10 and seven, who mean everything to me and I want them to grow up in a more inclusive world. I believe everyone should do what they can to make the world a better, more user-friendly and accessible place for everyone. My personal mission is to inform as many people as possible about what life is like for those who don’t have access to some of the things most of us take for granted – things such as going online or using a mobile device to check the balance in your bank account. What about being able to fill out a digital form that is required to participate in a contest, or purchase life insurance to protect your family if something happened to you? Perhaps you are considering buying a new gadget and found a video review of the product on a consumer website? These are things people do every day. But for a person who is blind or deaf, unless the websites or applications, and the content within them, are made accessible, these common tools remain beyond their use. ASPA’s core values are accountability, performance, professionalism, ethics and social equity. These are all values that resonate with me both personally and professionally. I decided to pursue the Ph.D. in public policy and administration because I believe meaningful changes can be achieved as a public administrator advocating for policy changes in the area of digital accessibility. Currently, deficiencies exist in both private- and public-sector organizations’ use of digital assets. Without changes in public policy, disabled people who seek to do even some of the basic things in life are denied social equity. I see my candidacy for the board of this prestigious professional organization as an opportunity to shed light on the area of access and inclusion for all in the digital world. If selected, I will use this platform to continue being a passionate advocate for the importance of public administrators and policymakers to keep this focus in mind as professional practitioners. Grant Rissler is a Ph.D. student in the Wilder School of Government and Public Affairs at Virginia Commonwealth University (VCU). He served two years as president of the Public Administration Students Association (PASA) at VCU. He researches immigration and education policy and serves as associate at the Commonwealth Educational Policy Institute. He has also served as a teaching assistant or instructor for several courses. 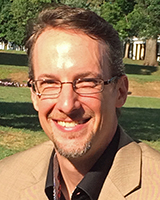 Mr. Rissler is an active member of ASPA Central Virginia and ASPA, currently serving on the PA Times editorial board. A Founders Fellow in 2014, he also presented research at the 2014 SECoPA and 2015 ASPA conferences and at the 2015 International Young Scholars Workshop. He earned a MA (international relations – Latin American studies) from Johns Hopkins University School of Advanced International Studies and a BA from Goshen College. Mr. Rissler has more than 10 years of practitioner experience with nonprofits, where he worked in communications, fundraising and program coordination. With significant leadership experience, dedication to listening to a broad range of voices and a passion for getting things done, I look forward to the opportunity to serve you as student representative on National Council. My desire to serve in this role grows out of gratitude for the atmosphere of collegial partnership I’ve found within ASPA; for the benefits I received from ASPA through ASPA Central Virginia, the Founders Fellow and International Young Scholars programs; and from a desire to be more involved. Student Leadership: Experience leading the Public Administration Student Association (PASA) at VCU for two years. During my leadership, PASA doubled the number of events held, funded ASPA memberships for 22 students and helped found a Central Virginia chapter of ASPA. Community Leadership: Experience as a nonprofit board member and board chair. Currently I serve as chair of the board and lead volunteer at Ten Thousand Villages Richmond, a fair trade retailer, and as a board member at the Richmond (VA) Peace Education Center. Michael Hall holds a Master’s degree and Ph.D. from The University of Oklahoma. He has taught public administration for 38 years. Dr. Hall has taught at Bowling Green State University, the Sage Colleges, The Pennsylvania State University, the State University at Delhi, Rensselaer Polytechnic Institute and Roger Williams University. He also has practitioner experience, having worked for a human service organization serving a two-county area of upstate New York. Dr. Hall has published in journals such as Public Administration Quarterly, Health Marketing Quarterly and Health and Social Policy, among others. He has been a member of ASPA since 1973. He became a member of the ASPA National Council from District 1 during 2014. 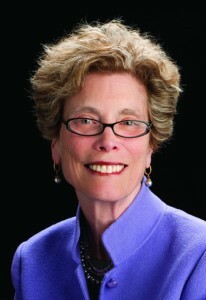 Dr. Hall has been the President of the Rhode Island Chapter of ASPA since 2008. He has acted as a consultant to the Pawtucket, R.I., Public Schools Government, Public Administration and the Law and Public Safety Academies. As a member of ASPA since 1973, I have seen several decades of change in the profession of public administration. I have made strong efforts to incorporate the best practices from the best of the changes in my teaching, training and consulting. I have been president of Rhode Island ASPA since 2010. I have been able to lead three programs a year for the chapter, culminating in the annual Public Service and Leadership Conference held each May during Public Service Week. The list of keynote address speakers forms a Who’s Who of New England and Rhode Island, from whom I have learned valuable information to add to my teaching, including the Provost of the Naval War College and former Foreign Service veteran plus Jhoari Brown of the Department of Homeland Security’s training agency. I think my experience as president has provided me with a solid background to help lead ASPA from a position on the National Council. I was asked to take over an unexpired term from District 1 and my work was found good enough to warrant support for a full term on my own. After serving on the ASPA National Council, I believe I understand the need for service to help build and strengthen ASPA nationally and in the Rhode Island chapter. I bring experience in public administration from academics and practitioner perspectives. I was a staff member in a nonprofit organization in upstate New York for four years. This blend of perspectives will continue to inform my work in ASPA and the National Council. My recent publication in Teaching Public Administration, which is an international journal, also encourages an international perspective to be led by ASPA. The piece offers suggestions on how to do so. The appreciation for inclusion of the European Group on Public Administration and its Asian counterpart is an initiative that can be further encouraged from the position I would like to occupy on the National Council. Dennis Martino is the former Director of the NH Bureau of Education and Training. The bureau provides a wide range of training programs for public employees. In that capacity, he was responsible for the curriculum development and administration of the NH Certified Public Manager Program. Among his duties were organizational development responsibilities such as strategic planning facilitation and workplace mediations. Mr. Martino has taught a variety of courses at the graduate level at several colleges as a lecturer and as an adjunct faculty member. He continues to work in this capacity. Prior to his current academic work, Mr. Martino had 21 years of experience in labor relations as a union contract negotiator. This work was almost entirely in the public sector at the state, county and municipal levels. Mr. Martino is active in his community and serves as an officer or board member on a number of nonprofit organizations. I am running for a seat on the ASPA National Council for several reasons. Each one is important to me. First, because I feel strongly about taking responsibility in any organization to which I belong. I seek to be an active member and not just a dues-paying member. I believe it is incumbent upon all of us to serve our communities. For nearly my entire life, public administration has been my community in one way or another. Second, I wish to provide a voice and presence for my ASPA section. The Certified Public Manager Section is new, but the commitment to the mission and values of ASPA is important to me and the section members. Third and finally, I want to be a part of this team to help raise our voices in advocacy for the high standards and values ASPA espouses. In this regard, I would advocate for close alignment between our academic partners and government entities by creating a dialog about ways to harness research opportunities to solve the ever more complex problems we face as a nation. Josh Osowski is a superintendent in the New Jersey State Park Service and a doctoral student at Rutger’s School of Public Affairs and Administration. During his 17 years as a practitioner in state government, Mr. Osowski implemented change management at Liberty State Park by taking a park that was fraught with corruption and mismanagement and turning it into the team-driven success it is today. Mr. Osowski has made significant improvements to the parks at which he works and has been able to make difficult things happen through the use of collaboration. He is finishing his coursework for a Ph.D. in public administration and is excited that he will soon have his first work published in an upcoming Routledge publication. Eager to improve the connection between practitioners and academics, Mr. Osowski has been integral in reestablishing the New Jersey Chapter of ASPA, where he is currently the president-elect. I ask for your vote because I see a real need for ASPA to improve the connection between practitioners and academics in order to further good governance and public service. During the first 14 years of my career in state government, I fought hard to improve public service and learned many lessons the hard way. It was not until I began my doctoral studies in public administration three years ago that I realized there was such a vast wealth of knowledge in journals such as Public Administration Review. Had I had the knowledge I have now 15 years ago, I shudder to think how much more I could have done to improve public service. Unfortunately, I think my case occurs too often and there are too many public servants who are not aware of the benefits ASPA can provide them. This disconnect is problematic because how can we effectively improve public service if the best literature and resources are not getting into the hands of the practitioners who need it? As district representative, I will work to remedy this disconnect. First, we need to increase membership, especially with practitioners. In order to accomplish this I will work with chapters to create best practices and assist them in their implementation. Second, we need to expand the opportunities for academics and practitioners to work with each other. As district representative I will seek ways in which we can increase these connections. If elected, I bring to the table enthusiasm and a proven track record of getting results, but in order to accomplish these goals I will need your vote, so please vote for Josh Osowski. Michael Brintnall is formerly the executive director of NASPAA and of the American Political Science Association (APSA). Earlier positions include vice president for aca­dem­ic affairs at Mount Vernon College in Washington, D.C., program evaluation at the U.S. Department of Housing and Urban Development and faculty appointments in political science at Brown University and Mount Vernon College. 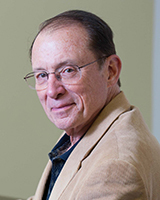 Dr. Brintnall is a Fellow of the National Academy of Public Administration (NAPA). He has served as president of the National Humanities Alliance, chair of the Board of the Consortium of Social Science Associations and a member of the Advisory Board for the Fulbright Scholar Program, Council for International Exchange of Scholars. He serves on boards for the American Society for Public Administration, Environmental Investigation Agency and the National Humanities Association Foundation, and is secretary/treasurer of Tango Mercurio. He has a Ph.D. in political science from the Massachusetts Institute of Technology. ASPA is moving forward–strengthening chapters and sections, creating opportunities for members, building and sharing knowledge for good practice and speaking out for the public sector. I am seeking reelection to ASPA’s National Council to continue working on initiatives for advancing the organization in these roles. In my current term, at the request of prior and current presidents, I have chaired a working group to strengthen ASPA governance with an eye toward making processes more nimble and transparent, more aligned with new generations of members and tightly focused on our updated strategic goals. I am eager to continue that project and work with the leadership on other emerging, major initiatives to advance ASPA and its mission. I have had long involvement with ASPA, with public administration practice and scholarship, with association management and with organizations central to the field–at the Department of Housing and Urban Development, as executive director of NASPAA and the American Political Science Association, as a NAPA Fellow and as a research scholar and professor. I have long-standing international connections relevant to ASPA’s work, such as with NISPAcee in Eastern Europe, where I joined in representing ASPA this year and am co-organizer there of a new working group on nonprofit management; and with the Inter-American Network for Public Administration Education, where I was a co-founder. ASPA, its chapters and its sections represent unique assets for society that I believe in strongly, as independent, open and transparent environments in which public sector leaders and thinkers can interact with peers to share information, identify and test ideas, gather knowledge, provide accountability, speak out and mobilize. These professional capacities are an essential, and underappreciated, element of public sector reform. We have a responsibility to make ASPA as effective an organization as we can! 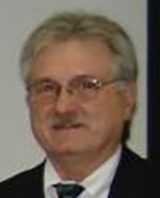 Raymond W. Cox, III, is a professor of public administration at the University of Akron. He has taught in universities in Minnesota, Arizona, New Mexico and Florida. Dr. Cox brings to the society nearly 20 years of government experience. He has served as a legislative analyst (Massachusetts), a program director at the NSF, the chief of staff to a Lt. Governor (New Mexico) and as a member of the Akron City Council. He has provided consulting services in Latvia (2003) and was a research chair in public policy at McGill University (2007), both through the Fulbright program. In April 2006, ASPA recognized his service with the Donald C. Stone Award. 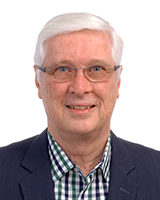 He has been chair of the SPAE, Ethics and SIAM chapters and is currently on the board of SICA. He served as the chair of the local government management education committee of NASPAA from 2006-2011 and is currently the vice-chair of ICMA’s advisory board on graduate education. I was an ASPA Fellow in 1972, but like many other students I did not continue my membership until a few years later (1977). I am proud to say that since then I have remained an ASPA member. I have remained active through the rough times (the steady drop in membership and the decline in the number of chapters from 120 to about 40) and happier moments (my election to National Council in 1988 and my receipt of the Donald C. Stone Award in 2006). I have been an active and engaged member, serving as an officer in chapters and sections, as vice-chair of a capacity steering group and the National Council. Despite the decline in numbers, there still is a place for ASPA in supporting both the academic and professional sides of ASPA. The question is: how can we make the organization relevant to both communities? We are an organization of the very young (students are 50 percent of our membership) and people with long ties. We have lost the middle… whether mid-level public managers or junior faculty. We have lost touch with our roots; the chapters: the place young professionals and practitioners engage with ASPA. In a time when fewer people commit to “membership” organizations, we must find a way to re-invigorate chapters, or at least explore models of interaction and participation that reflect the community-building and networking character that once typified the chapters. Second, we must explore how we can make the expertise that still resides in our members accessible to the members and a broader community. This implies more and distinct activities for those constituencies: students, practitioners and academics. We must rethink our relationship to those we serve. From the vantage point of the “west side” of this district, that is my goal. 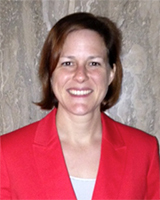 As an associate policy scientist with the University of Delaware’s Institute for Public Administration (IPA), Julia O’Hanlon is responsible for providing a wide range of project management, research support and technical assistance to IPA staff, state and local government officials and nonprofit organizations. Ms. O’Hanlon’s primary expertise involves state and local management, aging-related policy issues, intergovernmental relations and public personnel management. Her recent public policy and research activities have focused on program evaluation and funding of senior centers, researching the impact of Delaware’s senior population on statewide transportation and mobility options and working with Delaware local governments on healthy community initiatives. She is a graduate of the University of Delaware’s MPA program (2003). Ms. O’Hanlon has held various leadership roles with the Delaware Association for Public Administration (Delaware chapter of ASPA) and is the current editorial board chair of ASPA’s PA Times. With nearly 10 years of service to the Delaware chapter, I look forward to serving ASPA on the National Council, representing the interests and activities of the local groups. As president of the Delaware chapter, I worked to reinstate and redefine our organizational mission. Now, with the support and continual leadership of colleagues and long-time members, the Delaware chapter is a model for other chapters and offers many benefits to local public administrators, including year-round events and professional development activities that celebrate and promote public service in Delaware. Working with local chapters and sections is critical to ASPA’s future and long-term success. I look forward to carrying out the strategic goals of ASPA and the National Council by serving as a liaison with the local chapters and sections in my district and promoting local and regional activities such as Public Service Recognition Week (PRSW), NECoPA and other events. 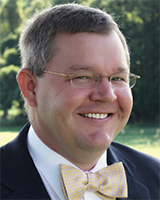 Jeremy L. Hall, Ph.D., is a life-long Kentucky resident, a graduate of the University of Kentucky Martin School and an ASPA member since 2001. He serves on the editorial boards of the Journal of Public Administration Research and Theory and Public Performance and Management Review. He has also served on the board of Public Administration Review. 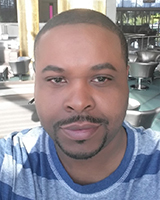 He is currently serving as program chair for the 2016 ASPA Annual Conference in Seattle. He was a senior scholar at the 4th International Young Scholars Workshop in Mexico City. Dr. Hall served two terms on the SECoPA board and continues to be an active member. He served two terms on ASPA’s Center for Accountability and Performance (CAP), including a term as CAP chair. He has served on the board of ASPA’s section on public performance and measurement since 2012. Dr. Hall is associate professor of public affairs and MPA director at Rutgers University—Newark. I believe in ASPA and the strength of its sections and chapters. I have been proud to serve ASPA in a variety of capacities since becoming a student member in 2001. ASPA has since provided me with a wealth of professional development opportunities I could not have envisioned at that time. ASPA is a diverse organization with many constituencies—students, practitioners and academics—but it offers an increasingly broad umbrella that supports both public and nonprofit servants, volunteers and individuals working in the private sector. It also supports an increasingly international membership. The challenges facing the public and nonprofit sector in our rapidly changing world grow in magnitude daily. ASPA continues—and must continue—its long tradition of strong leadership in governance and public management. I have a passion for excellence in public administration scholarship and practice. My vision for ASPA is a solvent and sustainable organization that will deliver resources and support of the highest quality to these many constituencies long after my term of service ends. ASPA must continue to deliver high-quality publications, training, conferences and networking opportunities to both academics and practitioners. By building global networks with similar organizations and governments in Europe, Asia and Latin America, ASPA is poised to embrace a new period of global influence. My greatest hope is that tomorrow’s ASPA members will be presented with the same variety of opportunities I have enjoyed over the last 15 years. By engaging its membership—especially a generation of new members—ASPA stands to capitalize on its intellect, creativity and ever-building capacity for new possibilities. ASPA’s strength will always be in the people who comprise its chapters and sections. It would be my honor to represent District 3 as your National Council representative. Jared J. Llorens is an associate professor and director of the Public Administration Institute at Louisiana State University. His research focuses primarily on public-sector human resource management, with particular interests in pay comparability and automated recruitment. He is the Editor-in-Chief of Public Personnel Management and sits on the editorial boards of Public Administration, Public Administration Review and the Review of Public Personnel Administration. He is the current chair of ASPA’s section on personnel administration and labor relations and is a past chair of the public administration section of the American Political Science Association. 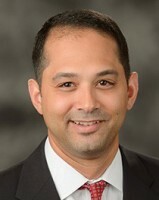 Dr. Llorens received his BA from Loyola University–New Orleans, his MPAff from the LBJ School of Public Affairs at the University of Texas at Austin and his Ph.D. in public administration from the University of Georgia. He is also a former presidential management intern and served as a human resources specialist with the U.S. Department of Labor and U.S. Office of Personnel Management. Having experience as both a practitioner and academic researcher, I have always appreciated ASPA’s longstanding commitment to public administration research and practice and this commitment has been the foundation of my service to the organization. At present, I am chair of ASPA’s section on personnel administration and labor relations (SPALR). In this capacity, I have successfully organized and led many of our section’s activities, including SPALR’s annual symposium held in conjunction with ASPA’s Annual Conference. Apart from my service to SPALR, I have contributed to ASPA’s public service outreach efforts in numerous capacities. In 2014, I organized and led an ASPA webinar on succession planning for public sector agencies and also served on the ASPA Audit Committee. In 2012 and 2013, I served as chair of ASPA’s strategic imperative group #2 and co-authored a chapter of the Memos to National Leaders publication jointly sponsored by ASPA and NAPA. In 2013, I served as a senior scholar for the 2nd Annual International Young Scholars Workshop held in Beijing, China, and in 2009 and 2010 I served as chair of ASPA’s federal pay initiative, where I worked directly with the U.S. Office of Personnel Management, on behalf of ASPA, in recommending improvements to the federal pay system. I am honored to have this opportunity to run for a seat on ASPA’s National Council. I believe I possess a firm grasp of ASPA’s evolving role in the field of public administration and my past service to ASPA has provided me with firsthand knowledge of its organizational strengths and opportunities for improvement. If elected to the National Council for District III, I will use this base of knowledge to continue working with ASPA’s leadership team in its efforts to advance the organization’s commitment to public administration research and practice. Between now and the time of ASPA’s elections for the 2016-17 ASPA National Council members, you will probably be inundated with campaign information and requests to support a number of candidates. Although I am currently unaware of whom all of these candidates may be, I am quite certain all of them are well-qualified to fill these roles and are very sincere in their desire to share in the leadership of this esteemed professional association. I feel privileged to be one of those candidates as I seek re-election as a District 4 representative. What assets do I bring to the table? Leadership experience on National Council as a past-president of both the Colorado and Greater Kansas City Chapters, chair of the section for women (SWPA), chair of the host committee for the 2006 Annual Conference and membership on other ASPA committees, currently including three strategic plan implementation work groups: ethical public governance, quality of the membership experience and strengthening ASPA’s chapters and sections. An ability to “bridge the gap” between both the practitioner and academic bases of ASPA, having served in both capacities during my career in public, private and nonprofit service. An unwavering commitment to transparency, all forms of equity and social justice, representative and shared governance and leadership with integrity. What are my primary goals as District 4 representative? Increasing support for, and revitalization of, local/state chapters, not only in Kansas/Missouri and Colorado, where I dually work and reside, but in all other states in our great region. It is important our voices are strongly heard! Improving the quality and representativeness of ASPA’s Annual Conference, including expanding professional development for all attendees and serving as a “marketplace” for innovation in public service and employment opportunities. My sincere appreciation for your consideration of my candidacy. 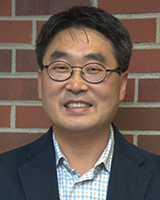 Jooho Lee is an associate professor at the School of Public Administration and an associate director of the global digital governance lab at the University of Nebraska, Omaha. He also serves as a secretary/treasurer of the ASPA Nebraska chapter. Areas of his research include public management, with an emphasis on information and communication technology use in public organizations, and application of social network theories in public management issues such as interagency and interorganizational collaboration. 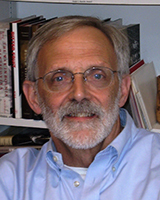 His research has appeared in public administration and electronic government journals such as Public Administration Review, American Review of Public Administration and Administration and Society. His current research projects include the antecedents and consequences of social media adoption by government and the public, the antecedents and consequences of interagency networks and citizen participation programs including participatory budgeting practices. He earned his Ph.D. in public administration from the Maxwell School of Citizenship and Public Affairs at Syracuse University. Since 2005, I have been tied to ASPA. In 2005, as a third-year doctoral student, I presented a paper (with my coauthor, Dr. M. Jae. Moon) at the ASPA Annual Conference in Milwaukee, Wisc.. This was the first time in my life to give presentation to the panel audience in English. It was also my great honor to receive the Junior Asian Scholar Paper Award from the section on Korean public administration (SKPA) of ASPA. Since then, I have been involved in diverse activities in ASPA. In addition to presenting research papers, I have served as a volunteer, panel chair/organizer, discussant and reviewer of the SKPA at the ASPA Annual Conference. Moreover, since 2014, I have served as a secretary/treasurer of ASPA Nebraska chapter. I have received tangible and intangible benefits by working with and for ASPA. These benefits have provided the added value to my career. Galia Cohen is a senior lecturer and an associate director in the justice administration and leadership program at the University of Texas at Dallas. She received her BA in psychology and her MA in organizational sociology from Bar-­Ilan University, Israel. She holds a Ph.D. in public affairs from the University of Texas at Dallas. 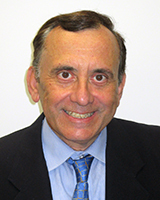 Dr. Cohen is an active member of ASPA and a former Founders Fellow. Her key roles have included serving as co-chair for the 2015 Young Scholars Workshop in Mexico City, student representative for ASPA’s national council, editorial board member for PA Times, executive board member for the section on personnel administration and labor relations, and as a founder’s forum selection committee member. 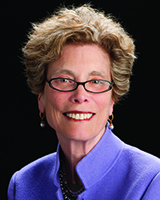 She is the former president of Pi Alpha Alpha Honor Society at the University of Texas at Dallas and the recipient of NASPAA’s Honorary Dissertation award for 2014. 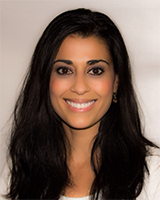 Dr. Cohen lives with her husband and two daughters in Plano, Texas. ASPA has been a valuable building block in my professional academic life since I was a doctoral student. As a student, ASPA reached out to me and provided me with the opportunities to supplement my education with professional experiences. Now, as a professional, operating both as a practitioner and academician, ASPA has become a professional home to me where I can present my research, associate with prominent scholars and practitioners in my field and contribute by serving on ASPA’s committees. Being a foreigner, I also admire ASPA’s ability to bring together people from different cultural backgrounds and experiences that share one common passion – public service – for greater collaborative achievement. I have no doubt my ASPA membership and the relationships I have developed through its activities has provided me with the important tools and skills needed to pursue my career; skills that are not being taught in graduate school. Therefore, today, I would like to offer my knowledge and experience in an effort to support ASPA’s mission and help other members achieve their goals. I believe ASPA is a linchpin that connects practitioners and academicians in the field of public administration and it would be a privilege to serve peers from both worlds as ASPA’s District V representative on its National Council. Andrea Huston has been a member of ASPA since 2012 when she began her Ph.D. at Walden University. Her 17-year federal career has included positions at the Department of Defense, the Office of Management and Budget and the Department of the Navy, where she is currently a management analyst at U.S. Pacific Fleet Headquarters. Ms. Huston has been active with nonprofits to address diabetes advocacy and healthy living habits while working on committees and chairing events with the Hawaii Chapter of the Juvenile Diabetes Research Foundation and the Hawaii Office American Diabetes Association. In addition to ASPA membership, Ms. Huston is a member of the American Society of Military Comptrollers. She has a BA in international studies, a BA in global business from the University of Evansville and an MA in security policy studies from The George Washington University. Ms. Huston lives in Hawaii and is working on her dissertation focused on street-level policy implementation. As a practitioner, I have benefited from the range of expertise and perspective ASPA provides. As a scholar, ASPA members have challenged me to expand my thinking and look at problems in new ways. ASPA is a resource for both practitioners and scholars interested in advancing the field of public administration. More specifically, in District V we have significant challenges at the local, state and federal levels that require a strong professional and scholarly presence in this field. ASPA is a resource we can use to explore issues such as resource scarcity, public finance and other challenges we face in the region. I would like to be in a position to highlight the unique perspective and issues our region faces. ASPA has been an invaluable resource in providing opportunities to think through issues and has enabled me to work effective solutions in my job. The breadth and depth of the ASPA membership makes this happen. As the District V representative, I would like to expand membership in the region and work to link practitioners and scholars together within the region to build a community focused on regional issues in public administration. I have benefited from ASPA programs, such as Young Scholars and Founders Fellows, and would like to encourage more students from District V to participate. We bring perspective from a “remote” part of the country that should be represented and heard. I have gained a great deal from my association with ASPA and would like to give back so more students can benefit. I would appreciate your support in expanding ASPA’s presence in District V and building on ASPA’s solid track record of addressing current issues in the field informed by both practitioners and scholars. 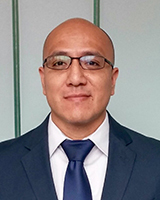 Adrian Velazquez Vazquez is an associate professor of public administration and the public service internship director at the University of La Verne (ULV). He holds a Ph.D. in public affairs from the University of Texas at Dallas, where he also obtained his MPA with a policy analysis concentration. Previously, he graduated with a law degree from Universidad de Guanajuato in Mexico. Prior to relocating to Texas for graduate studies, Dr. Velazquez Vazquez worked as a consultant for the private sector before entering public service. He served last as department manager of legislative support in the State Water Commission of Guanajuato. His research centers on the analysis of immigration phenomena as it relates to policies and opportunities for collaboration beyond traditional boundaries of government and nonprofits. He teaches graduate leadership, legal and government courses at ULV. Dr. Velazquez Vazquez has also been serving as a council member of the Southern California chapter of ASPA for the past three years. It is a privilege to submit for your consideration my candidacy as ASPA’s National Council Representative for District V. Membership in ASPA has been an important aspect of my professional life. It has allowed me to participate in multiple activities, conferences and networking events that helped develop valuable resources and relationships with other professionals in the private, public and nonprofit sectors. Such experiences, combined with my own as an international student, practitioner and academic, have helped me develop a unique view from which I may articulate and blend multiple perspectives relevant to all ASPA members. Since 2012, I have worked with fellow Council members of the Southern California chapter to foster the sharing of ideas among past, present and future generations of public administrators. With a strong interest in all aspects of public service, from education to practice to research, I welcome the opportunity to continue strengthening member participation in ASPA activities. It is important to continue the promotion of public service values, increased cross-sector collaboration and the creation of networking spaces that embrace the diversity of ideas and individuals represented in ASPA. If given the opportunity to serve in the National Council, I pledge to support and expand the many excellent initiatives ASPA creates for people with public service inclinations. I also commit to increasing local chapter and district-wide participation in an inclusive and professional environment. Given the many challenges faced by government, I feel ASPA must maintain a proactive agenda that leads the discussion of ideas and initiatives that, when put into practice, will address common interests and deliver public value. It would be my honor to serve as National Council member representing District V to not only further these goals but also contribute to the profession of public administration as a whole.